In Macau and Hong Kong we are surrounded by the sea, and a summer never goes by without a few sessions at the beach or pool. Māzú Resortwear is a company designed for those who live this kind of life, nautical heads who enjoy the finer things. They create designer swimwear which incorporates playful colors, traditional Asian motifs, and unique fabrics. They focus on top quality and comfortable classic swim shorts for males. We caught up with the founder, Adam Raby, to chat about rugby, junks, and gods of the sea. Can you tell us a bit about your background and what you were doing before Māzú? I started off working in Advertising at M&C Saachi and Publisics before I was asked to join Hong Kong’s national rugby team. I had to pick between the two career paths, but seeing as it had been my childhood dream to play in the Hong Kong Sevens, joining the team was an opportunity I could not turn down. This sparked a few years traveling around the world playing rugby at a semi-professional level. However, playing international rugby took its toll on my body and I decided to look at other job opportunities. My father had written a book on temples around Hong Kong and this inspired me to look into the concept of Māzú Resortwear. 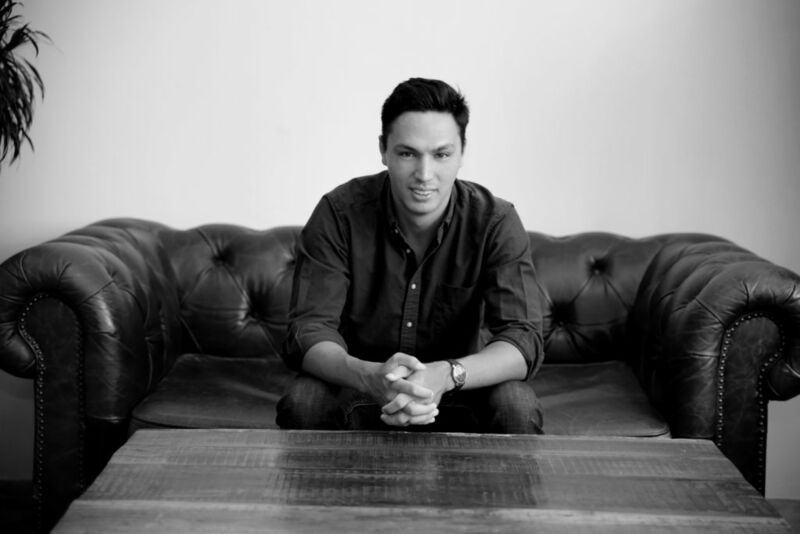 Why did you decide to start your own men’s resort wear brand? I have always had an entrepreneurial attitude and creative drive so when I looked at the male swimwear market I saw a niche I could take advantage of. There were very few resortwear brands based in Asia that embodied Asian values with a Western touch. Therefore, I felt this was an element of the market I could explore and conquer. Can you tell us about the design elements? We can see a strong homage to Hong Kong’s rich maritime history. How did this inspire you? Māzú Resortwear’s core concepts are inspired by Hong Kong’s rich and fascinating cultural heritage, an aspect of the city’s legacy which emotionally resonates with me. I grew up in Hong Kong with a Chinese mother and a British father, and have been inspired by the fusion of Eastern and Western cultures throughout my life. My love of the water has driven me to embrace Asia’s vibrant maritime history, especially given my grandfather’s loyal service in the Navy and my father’s passion for sailing. Hong Kong is an energetic metropolis, boasting a population of diverse cultures, and is a prime example of impressive modernity fostered by rapid urbanization. 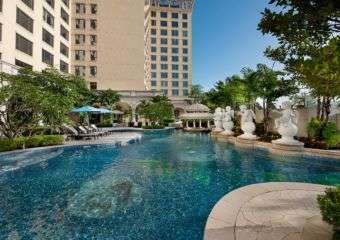 Therefore I feel that it is the perfect place to base a leading Asian luxury swimwear brand. Māzú, or Tin Hau, is the goddess of the sea. Sailors, fishermen and anyone who lives by the water pray to her for a safe journey, to get a good catch, and for anything related to the sea. She was thought to roam the seas, protecting her believers through miraculous interventions. She is now generally regarded by her believers as a powerful and benevolent Queen of Heaven. What are your favorite pair of Mazu’s and why? For me, the one pair that embodies Māzú Resortwear the most is our new pinstripe bamboo design. It perfectly blends Asian traditions with a western twist, balancing the shorts perfectly. But then again I was so inspired by the junk boats that used to dominate Hong Kong harbor that our junk boat designs will always hold a place in my heart also. The junk boat definitely encapsulates our core values here at Māzú Resortwear. What are your three must-have items in your bag for a day at the beach? A signature red ditty bag is given with every pair of swim shorts upon purchase. I use this at the beach and would keep in it some sunblock, mosquito spray (because they love me), and sunglasses. What celebs would you want sporting your line? Having come from a sporty background I would love to see some sporting stars wear my shorts. Yet, having said that, every time I see somebody I don’t know wearing my brand I feel like I am watching a celebrity anyway. I love that feeling. What were/are the biggest challenges in creating a men’s resort wear brand? The whole process has been a huge, yet ultimately rewarding, challenge. I have enjoyed stretching myself and watching the brand expand and grow, although it has taken time and patience and a lot of hard work. Creating Māzú has taught me how to tackle challenges methodically and build a business under pressure. You have to have passion and drive. A lot of people have the same skills on paper, but unless you have the passion and drive you won’t get very far. With these core attributes anything is possible. Our plan is to expand our brand to include lifestyle products and accessories. We aim to increase our clientele, appealing to men looking to invest in luxury resortwear for time spent in the sun and sea. Don’t forget we are currently giving away two pairs of Māzú luxury swimming shorts valued at HKD $2,000. We have one adult male pair and one matching pair for a little boy from. Simply click the button in this link and they’ll be as good as yours! 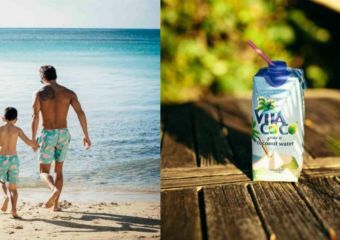 Win the Ultimate Summer Treat from Vita Coco and Māzŭ!